A single-board computer (SBC) is a complete computer built on a single circuit board, with microprocessor(s), memory, input/output (I/O) and other features required of a functional computer. Single-board computers were made as demonstration or development systems, for educational systems, or for use as embedded computer controllers. Many types of home computer or portable computer integrated all their functions onto a single printed circuit board. 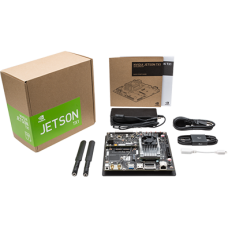 The NVIDIA Jetson TK1 development kit unlocks the power of the GPU for embedded applications. Built ..